Recall that sometimes last year, we told you about the MTN special data plans (Deal Zone) that offers MTN subscribers 1GB for N200. Glo has already join 9mobile with that package and a lot of people are currently using it. However, Glo’s own is for everybody while that of 9mobile is for selected SIMs. Who Are Those Eligible For The Offer? 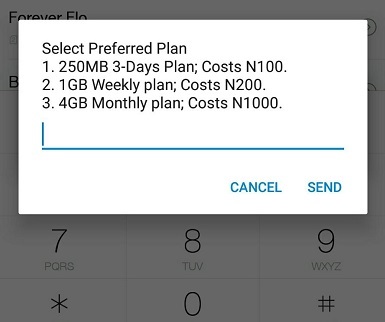 How Do I Get 2GB for N100 on MTN? Initially when MTN announced the plan, a lot of its subscribers complained of not being eligible for the offer. And now, the good news is that, everybody is now eligible. The offer is no longer meant to just attract new customers, or customers who have not subscribed for a data bundle for long. MTN4me is a special offer that gives subscribers 2GB for N100, usable on any devices of their choice and is valid for just 7 days. Meaning with N1000, you can get up to 5GB. Validity period is 7 days usable on any devices. You can give it shot and let us know what you think. What Can Nokia 9 PureView 5 Rear Camera Do & Can't Do?